Dr. Vélez has long been focused on applying economics, with other people and perspectives, to rural development. Her work often links to natural resources and the environment. 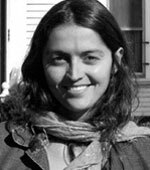 As an undergraduate, Vélez studied Economics at the Universidad de los Andes in Bogotá, where she also had research assistantships in rural development at the Center of Studies for Economic Development (CEDE). After college, Dr. Vélez began work with the National Federation of Coffee Growers and the Institute of Biological Research Alexander von Humboldt, both leading institutions in promoting the country’s rural development and the sustainable use of natural resources. In 2001, Vélez left to pursue a Ph.D. in Resource Economics at the University of Massachusetts at Amherst, finishing up in 2006. Her dissertation addressed a critical natural resources and development topic: the use of shared local natural resources by rural villagers. She designed and conducted field experiments with artisan fishermen from rural villages of Colombia. Next, Vélez was a postdoc at CRED from 2006 – 2008. Here, she worked with an interdisciplinary group of researchers (anthropologists, psychologists and economists) and developed a research agenda together with Alexander Pfaff on decision making under uncertainty and scarcity, with a focus on water management and climate variability in NE Brazil and in Colombia. Currently, Vélez is an Associate Professor within the School of Management at the Universidad de los Andes in Bogotá. At the undergraduate level, she teaches an introductory Public Management class with a focus on the Colombian civil conflict. At the master’s level, she teaches Intro to Environmental and Natural Resources Economics. At the doctoral level, she teaches an Intro to Experimental Economics. Also, Vélez has also designed and supervised a field project in the Pacific coast of Colombia where undergrad and graduate students have been supporting a rural community in an eco-touristic initiative that aims to improve members’ quality of life while preserving natural resources and the environment. Vélez’ academic and professional quality has been recognized in all of these stages. She was awarded Best Undergraduate Thesis Project in Social Sciences and Economics in the Los Andes University. As a graduate student she received several forms of such recognition including the highly competitive Graduate School Fellowship at the University of Massachusetts at Amherst and her dissertation was nominated for the “Outstanding Research Award” of the American Agricultural Economic Association. As a postdoctoral fellow at Columbia University, she was chosen as the Young Researcher Delegate from Colombia to the 46th annual International Achievement Summit of the Academy of Achievement in DC. In addition, she won a fellowship from the Latin American and Caribbean Environmental Economics Program (LACEEP) to study a new, collective property-rights regime in the Pacific Coast of Colombia. Dr. Vélez’ research focuses on decision making and institutional design concerning developing country environmental and natural-resource issues. In particular, she is interested in understanding the effects of alternative institutions to promote cooperative behavior that best balances the development and conservation outcomes in the use of natural resources. Using economic field experiments, Vélez has been studying local resource sharing by rural villagers in Colombia. She designed and implemented field experiments with fishers and other natural-resource users in different regions of Colombia. This research has been published in leading journals for this subfield (The Journal of Economic Behavior and Organization, Economic Enquiry, Ecological Economics). This research furthers the understanding of individual behavior in settings with social dilemmas as well as the effects of alternative institutions on promoting cooperative behavior, including conservation choice when using shared natural resources. Currently (and with Alex Pfaff and others), Vélez haz been studying decision making under uncertainty and scarcity, with a focus on water management and climate variability in Brazil and Colombia. They have designed experiments on asymmetric information about climate/water and its effects on bargaining. This emphasizes equity from dissemination. They also study what trust can achieve in the absence of formal contracts as well the equity and efficiency impacts of adding contracts that help to enforce promised surplus sharing. More recently, Vélez and her collaborators we are starting to study effects of the level of water scarcity itself, within ‘vertical’ (e.g., upstream/downstream) collective action games about resource use. Early experiments of this type have been implemented with users in rural Colombia. Vélez’ other research examines institutional changes in Afro-Colombian communities since a change in property-rights regime in 1993 to a new collective land-titling regime in the Pacific Coast. She surveys local leaders to understand whether the communities have succeeded in designing and implementing rules to manage collective land and resources. The process of collective titling has changed local environmental governance by creating local rules as well as legal tools to guard against encroachment by intruders. Beyond the establishment of formal property rights, the process of community and authority building based on the expectation of collective titling has begun to formalize management of the territory. Now she studying if the formalization of collective property rights affects the cooperation among inhabitants using public goods field experiments with inhabitants of titled and untitled territories. This ongoing line of research helps her to understand the impacts of collective property right regimes on welfare of Afro-Colombian communities. Finally, Vélez has started a new project studying the effects of violence and subjective perceptions of insecurity upon the capacity of citizens to cooperate. She is using economic experiments to establish the relationship between the perception of insecurity, the expression of pro-social behavior, and people’s participation in economic and social associations within rural communities of Colombia that face different levels of violence.